Paging has long been the cornerstone of critical mobile communication. Even today, no mobile communication technology is more reliable, survivable, and affordable. Paging networks provide redundant wireless coverage on the ground to serve the coverage needs of its mission-critical users. As emergency events often involve physical damage to property (including wireless transmitters), having overlapping coverage is critical for continuation of service. With the paging network architecture, all messages are “simulcast” from multiple towers within a specific coverage zone at the same time, so pagers are communicating with more than one tower at once. If one tower goes down, other paging towers in the area can still receive messages. Cellular networks are not designed with such redundancies. Paging transmitters are high off the ground (up to 300 feet compared with approximately 90 feet for a cellular tower), and transmissions for paging service utilize high power, resulting in superior in-building coverage. Paging transmitters operate with an effective radiating power (ERP) of up to 3,500 watts. For comparison, cellular transmissions have an ERP of approximately 100 watts.  Paging networks use satellite connections between the core messaging network and transmitter towers in the area, eliminating a critical point of failure for many wireless systems. Because data is transmitted back to the network via satellite, the local public telephone network that is often impacted by a disaster situation, as with Hurricane Sandy, is bypassed. In addition, the satellite dishes are easily accessible should technicians need to restore power using a generator or re-point the satellite dish. The core elements of a paging provider’s network can be designed with fully redundant infrastructure, including diversity on WAN/LAN, messaging switches, power sources and satellite uplinks. This redundancy is intended to help ensure operational continuity of all network systems and provide an extra layer of reliability. 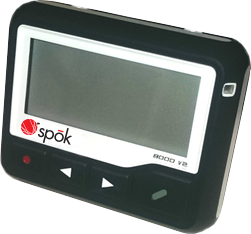 Robust: The plastic enclosure for Spok® pagers has been rigorously tested. Menu Options Set for Each User: Like the user profiles in software, Spok pagers can be configured to display only the options you want each user to access. Extensive Over-the-Air Programming: You can configure many features over the air, including Power Off, Time, Delete Messages, Alert Mode, Capcodes, and Disable Pager. Commtech pagers are easy to program by hand, over the air, and even via a USB port. Priority Override: This feature ensures that pagers set to inaudible become audible for high-priority messages. This is especially important for hospital paging devices. Dispatch messages quickly and easily through Spok’s solutions for clinical alerting and alarm monitoring. With an easy-to-use interface, your dispatchers have an intuitive method to distribute key alarms and alerts to individuals, groups, departments (such as the hospital call center), and the entire enterprise. Many customers have replaced outdated in-house terminals and messaging systems with these robust solutions to achieve a highly streamlined, reliable approach to sending mission-critical messages. 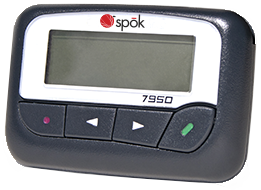 Spok offers both POCSAG & FLEX pagers. We carry intrinsically safe and ATEX-approved pagers for use in hazardous environments. Note: not all pagers are available in all geographies.